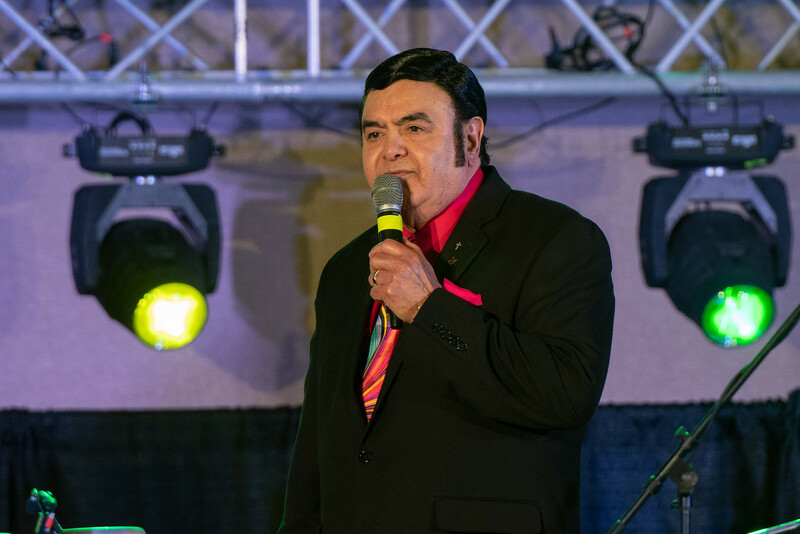 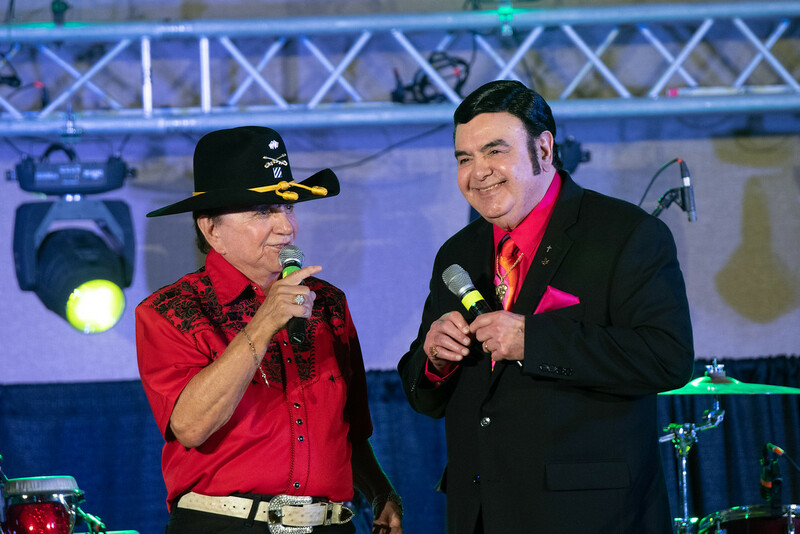 A&M-Corpus Christi Honors Tejano Legend Freddie Martinez, Sr.
CORPUS CHRISTI, Texas – Singer, songwriter, recording studio owner, philanthropist and Corpus Christi native, Freddie Martinez, Sr. is a man who overcame adversity to find success in the world of Tejano music. 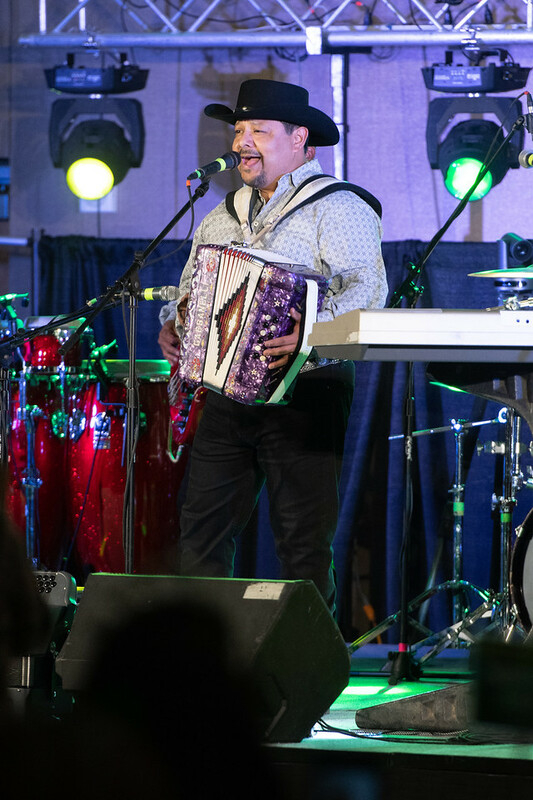 On his journey to create a name for himself nationally and internationally, Martinez also launched the careers of artists such as Sunny and the Sunliners, Little Joe, Augustin Ramirez and Ramon Ayala. 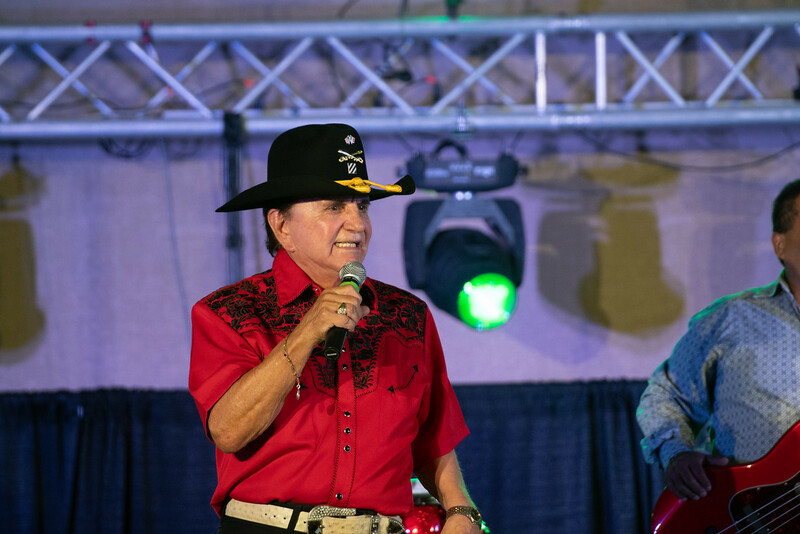 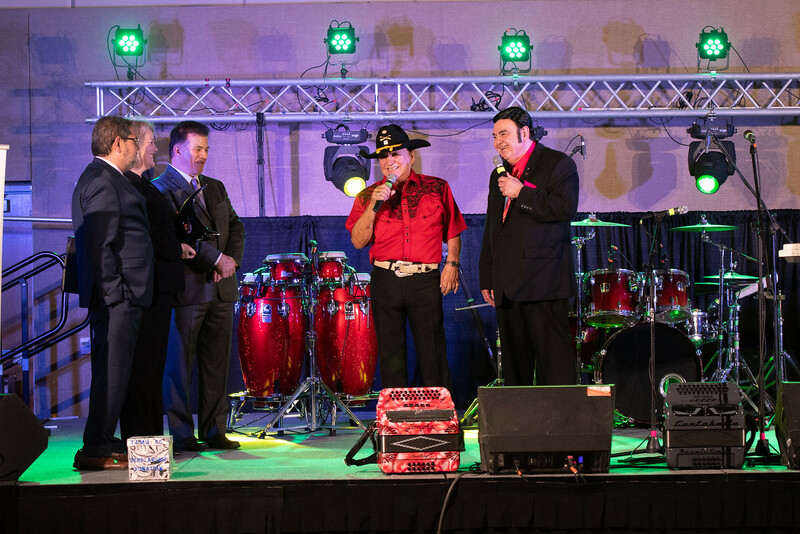 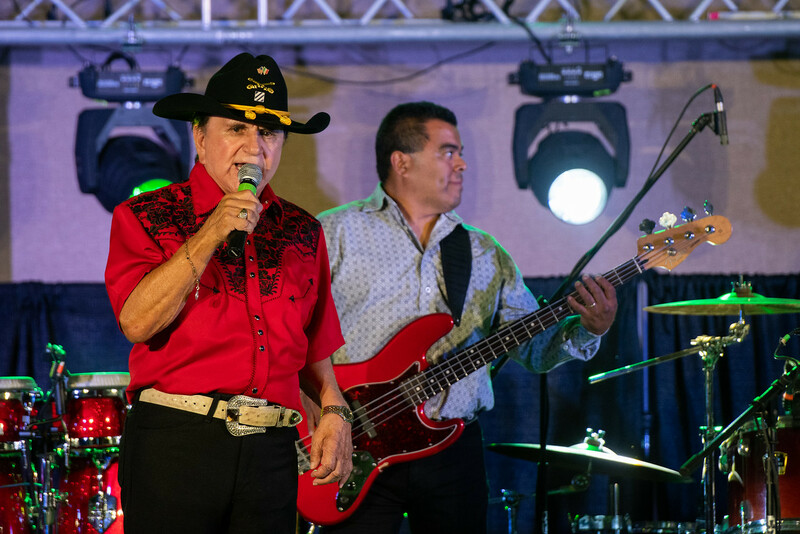 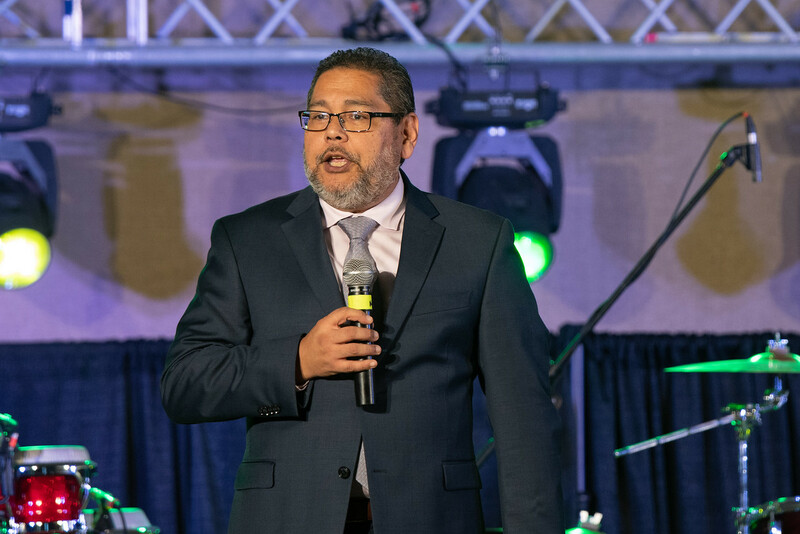 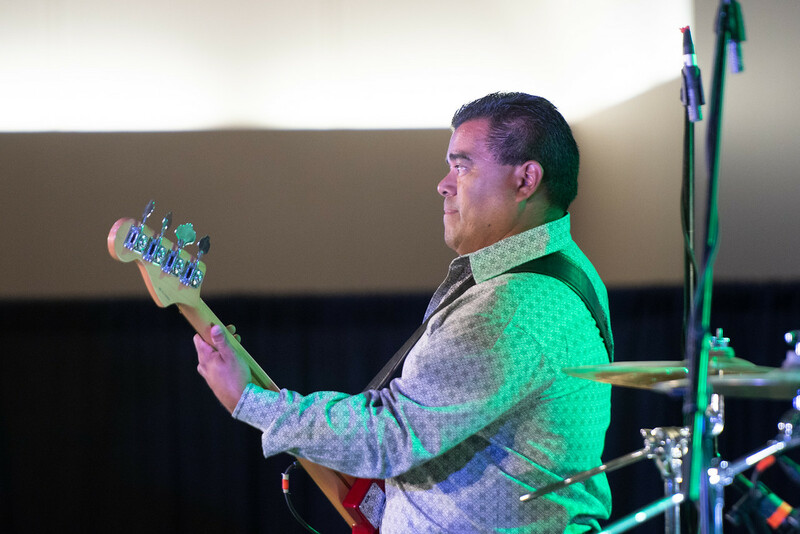 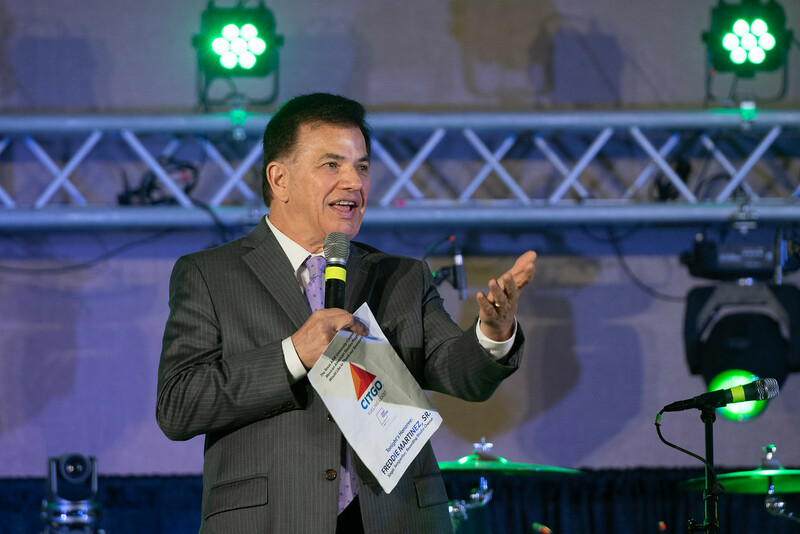 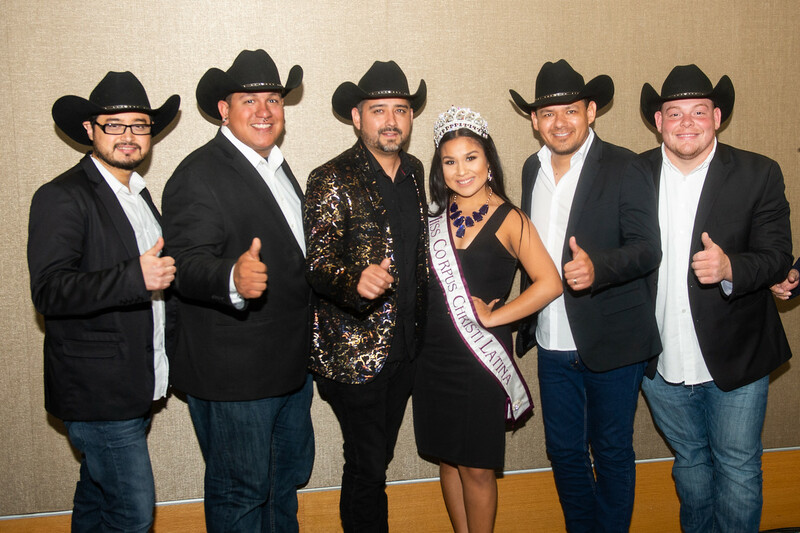 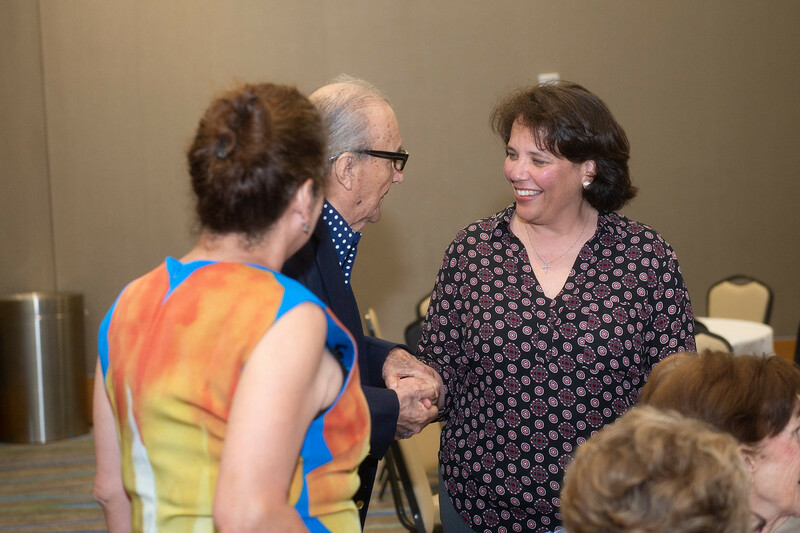 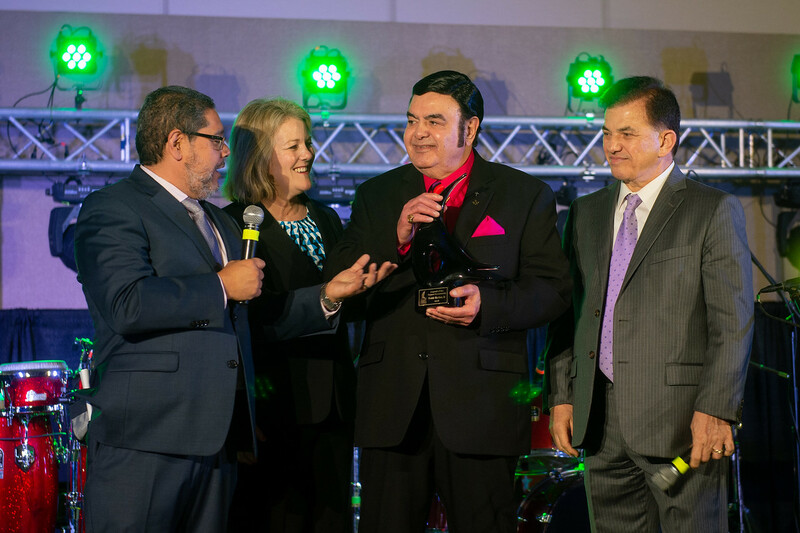 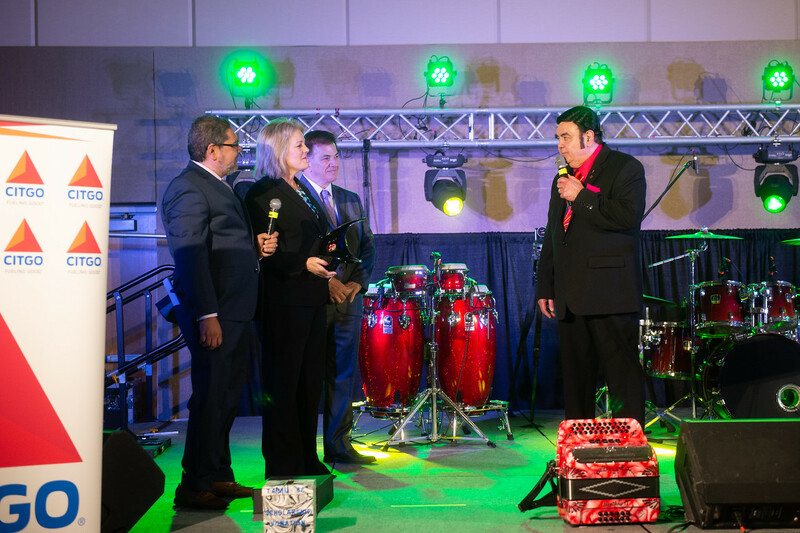 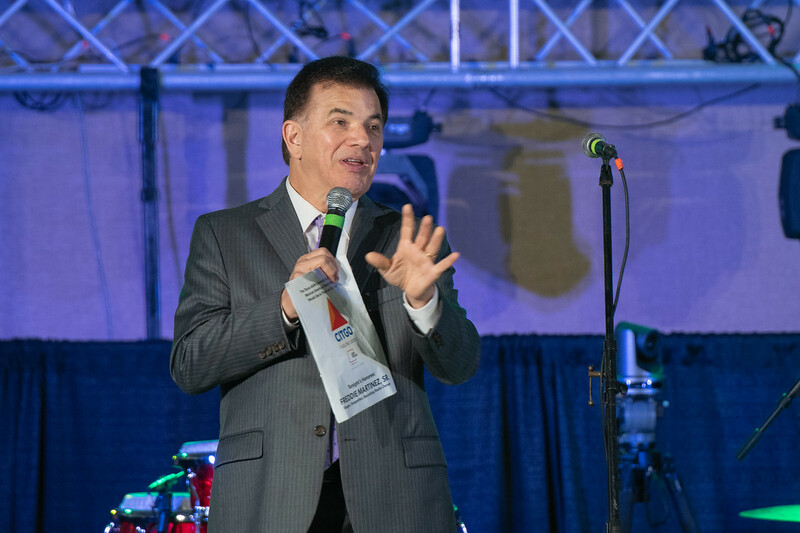 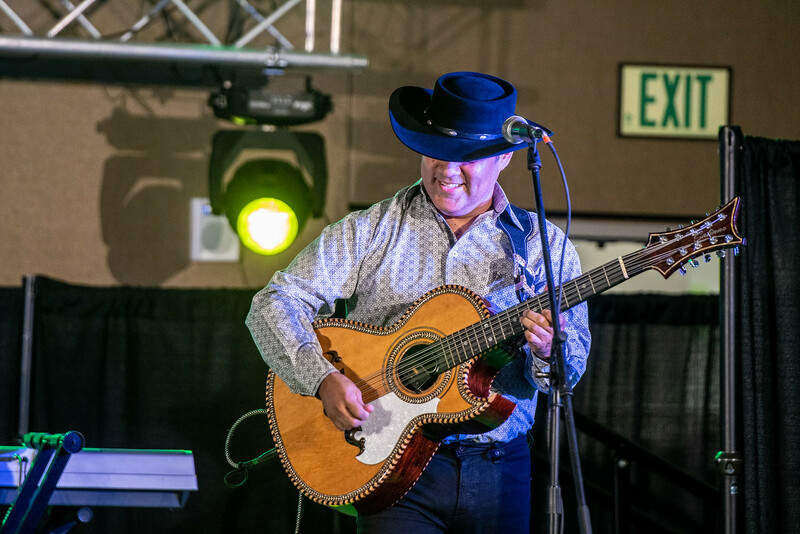 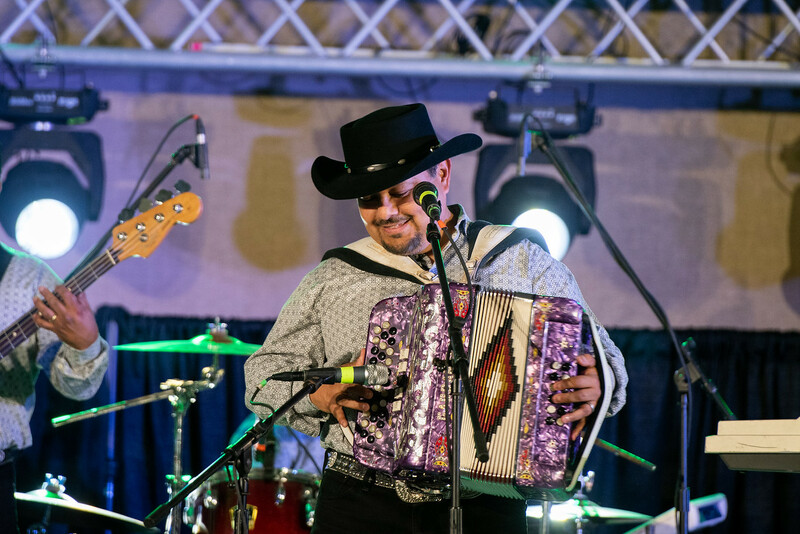 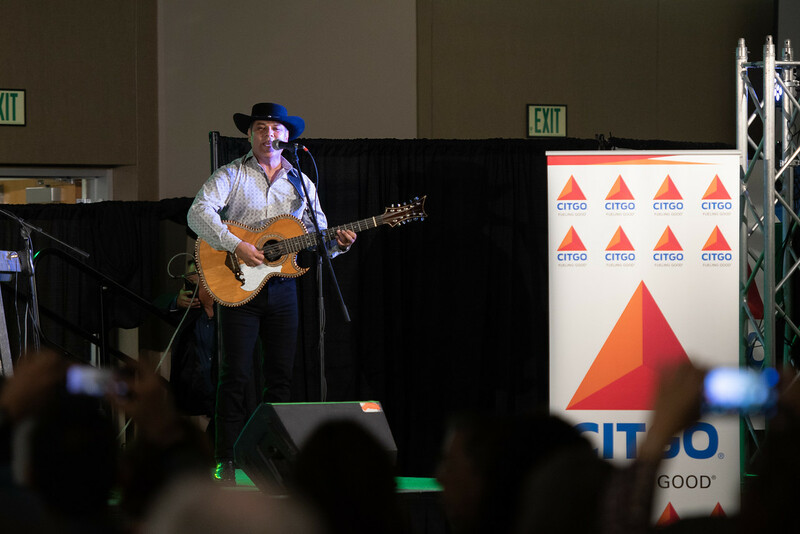 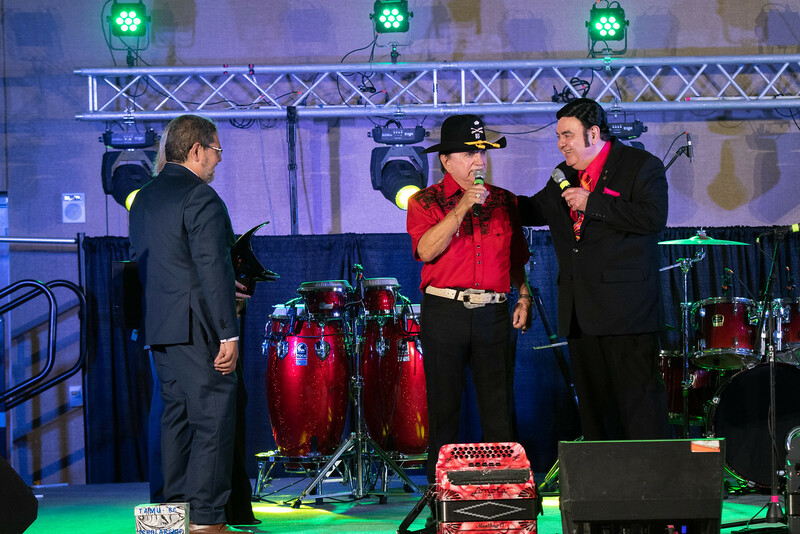 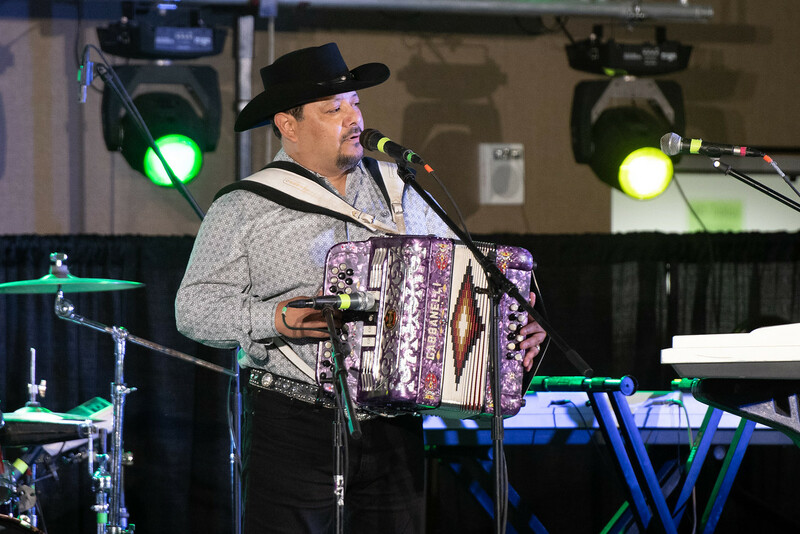 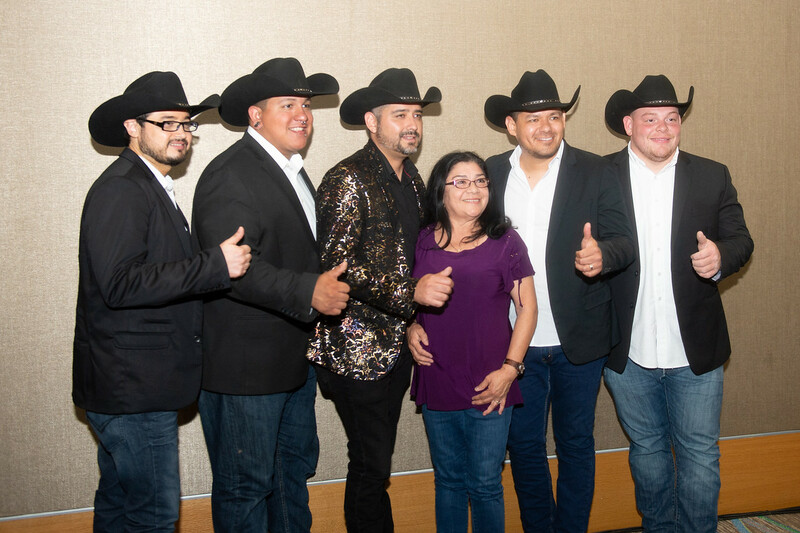 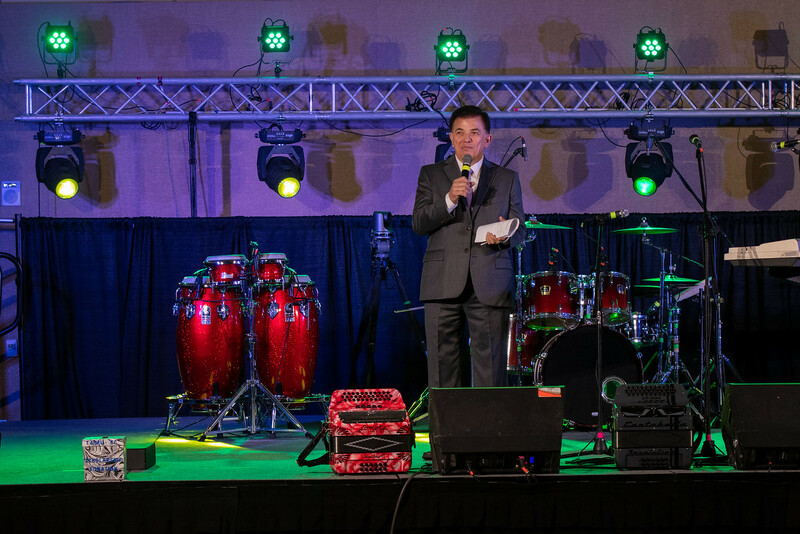 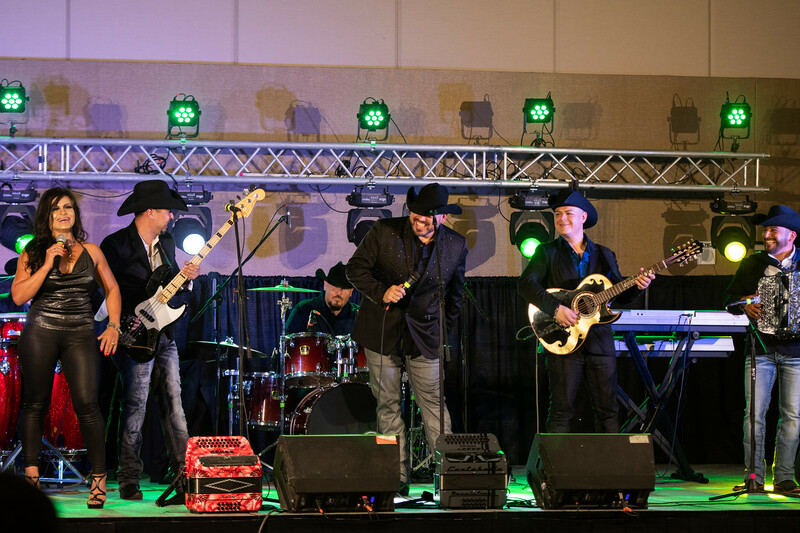 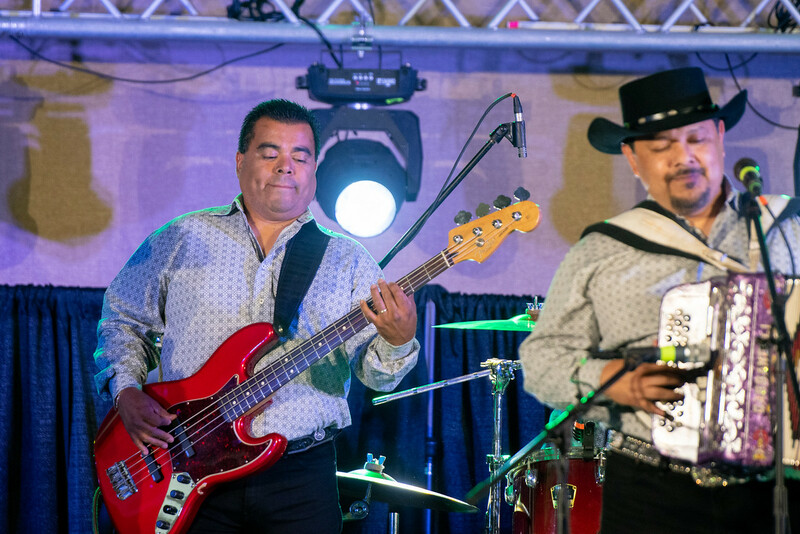 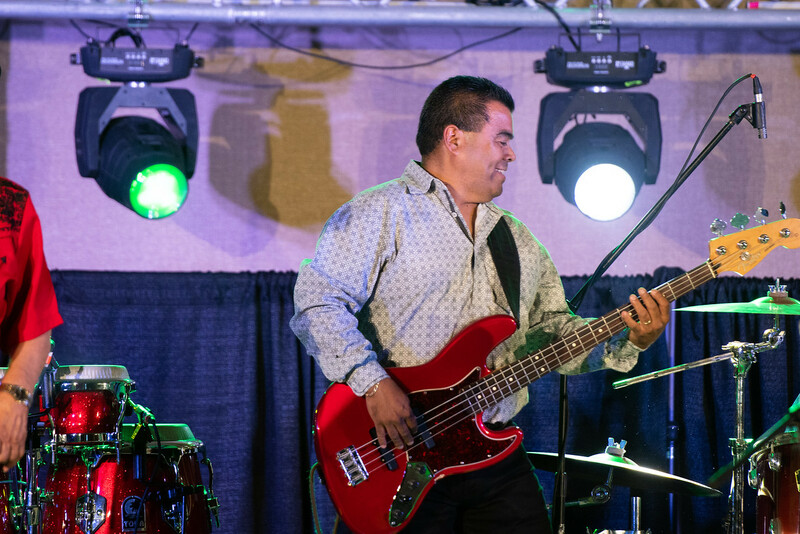 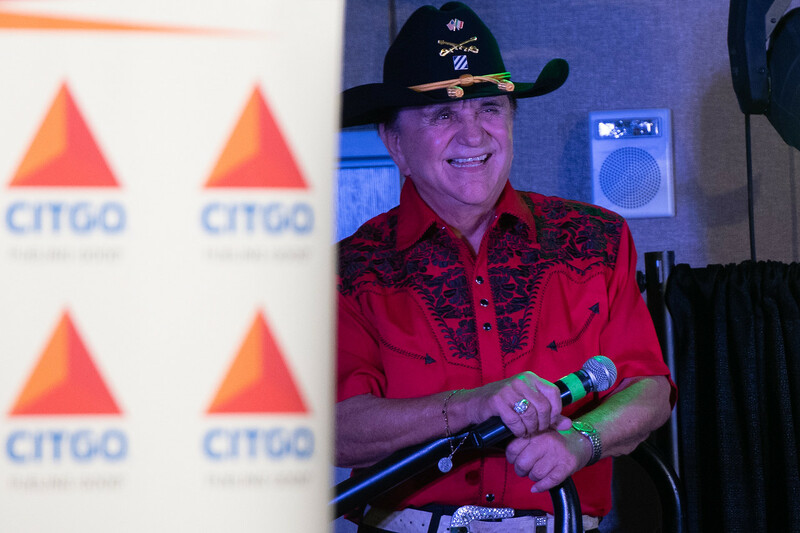 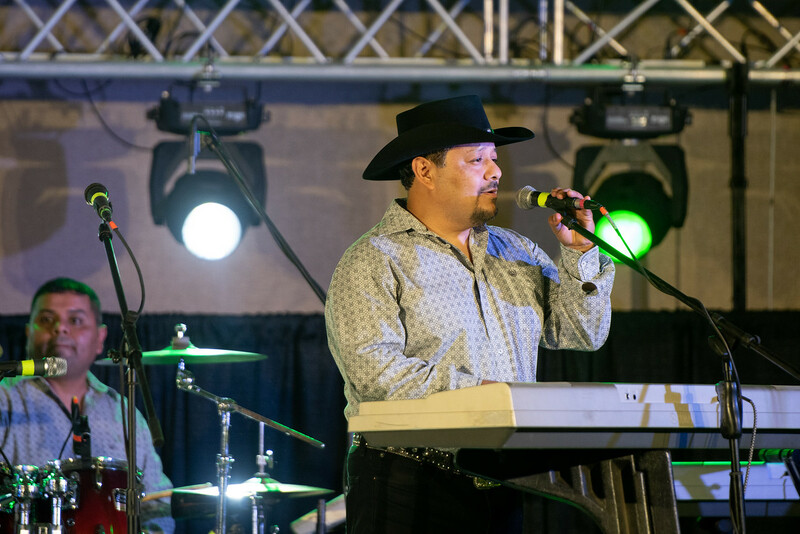 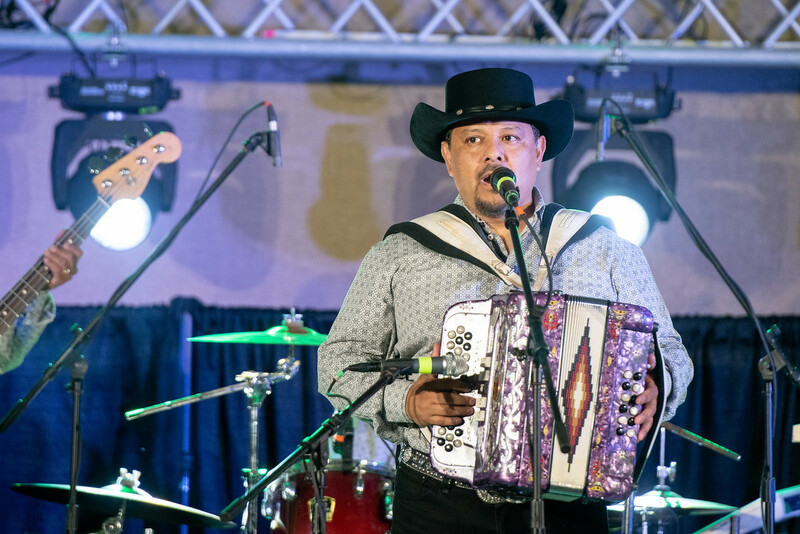 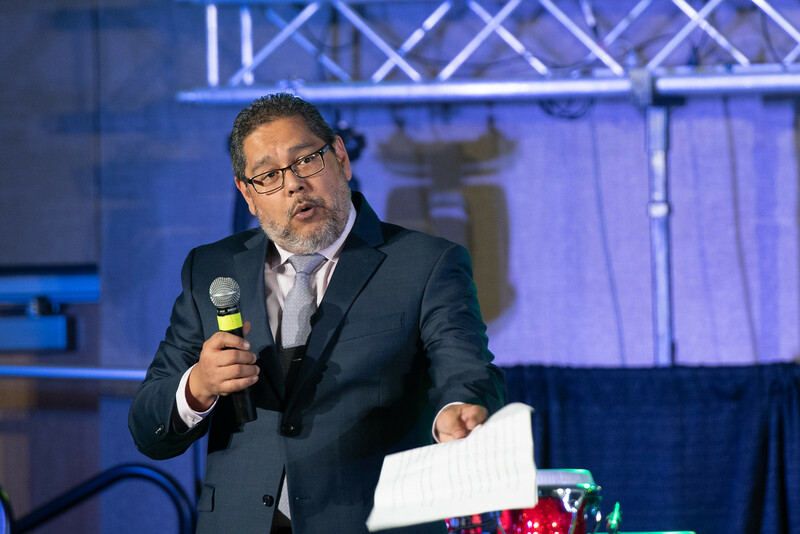 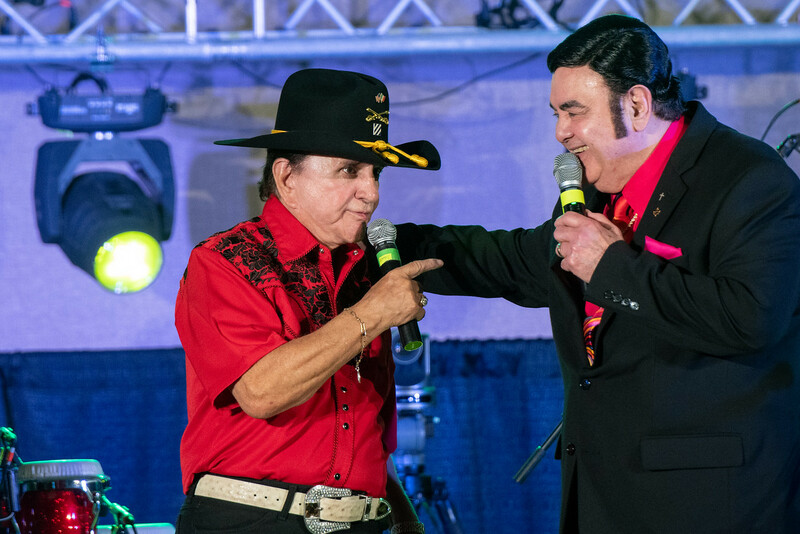 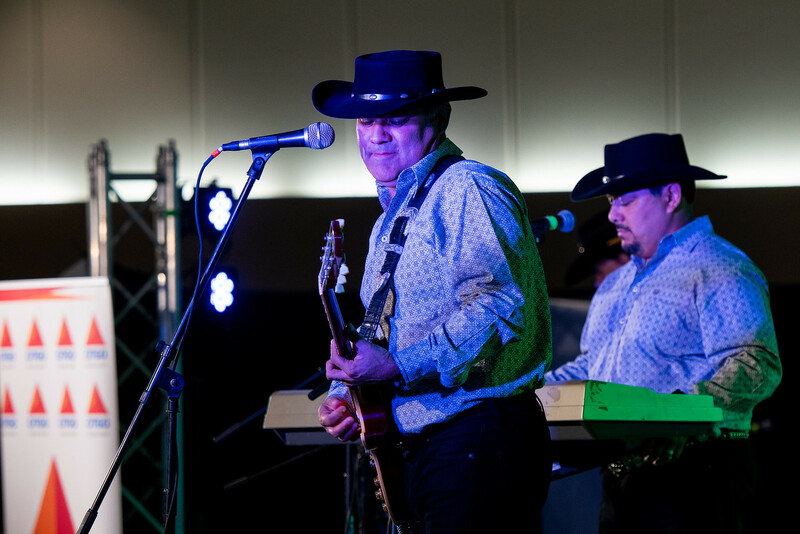 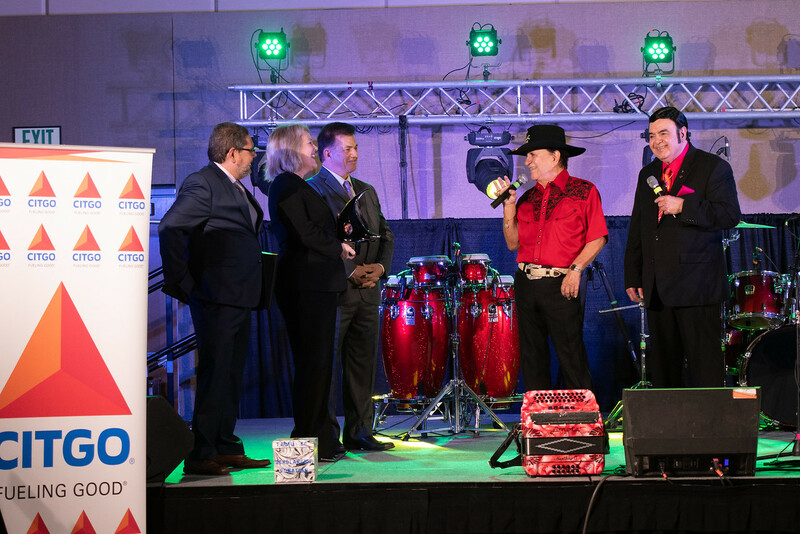 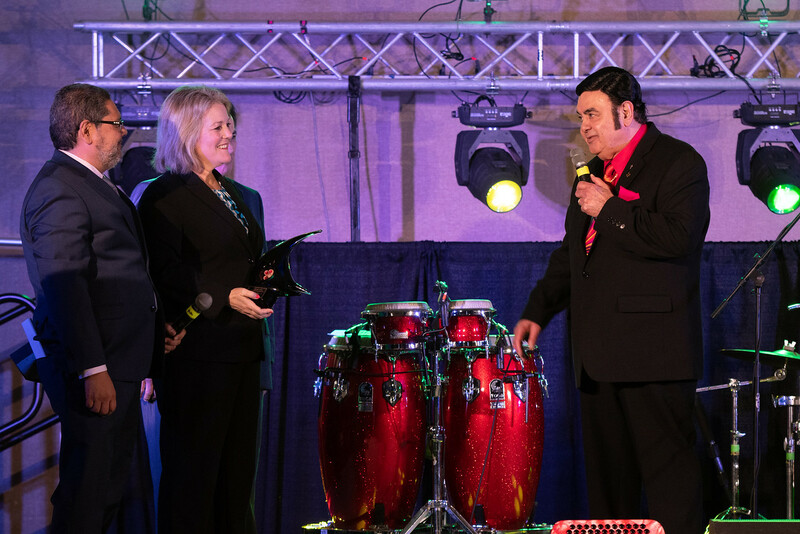 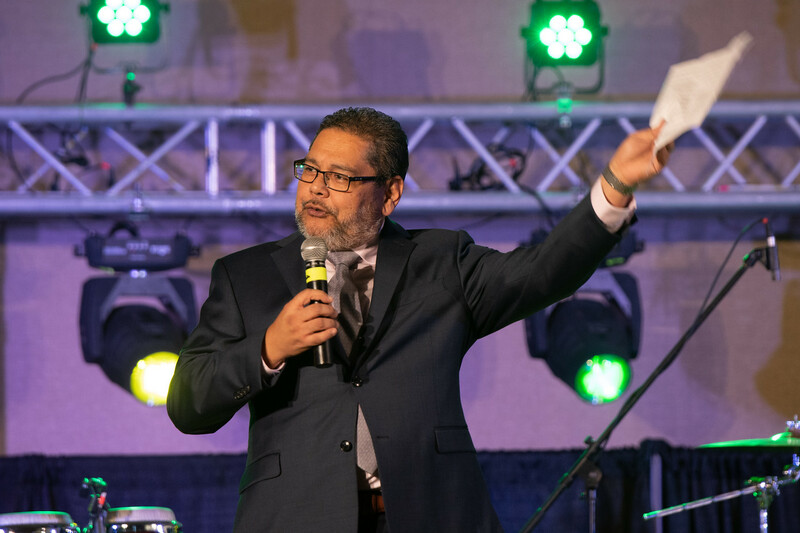 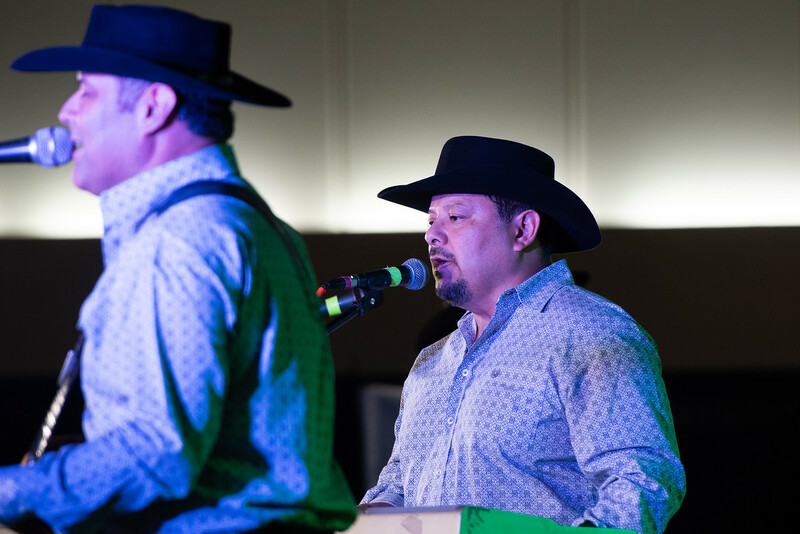 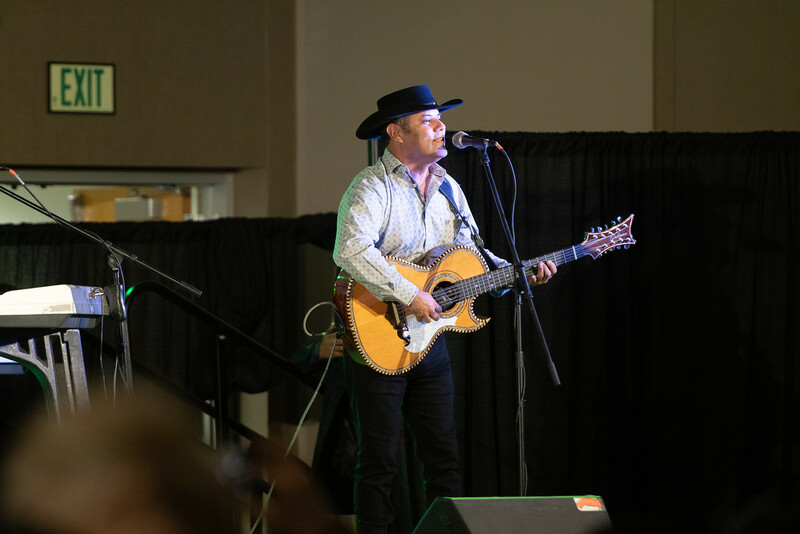 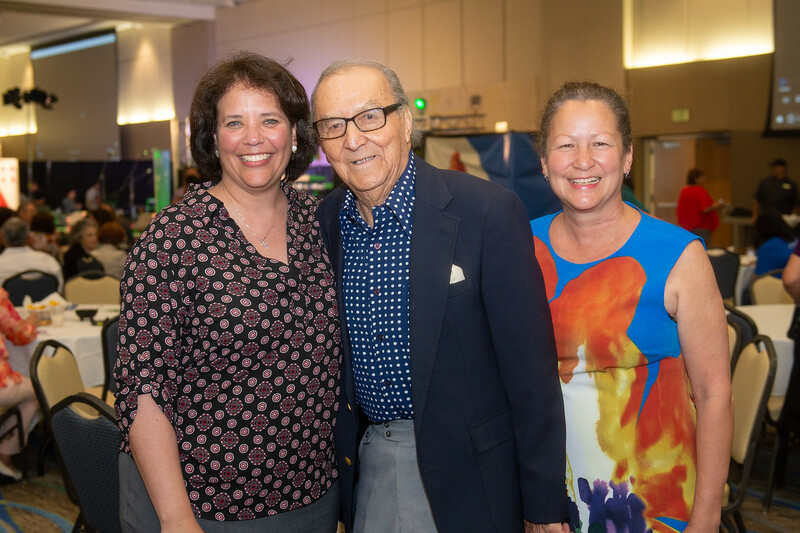 As a champion of the Tejano community, it comes as no surprise that Martinez was the honoree at the 2nd Annual Legends of the Tejano Community Awards on May 2. 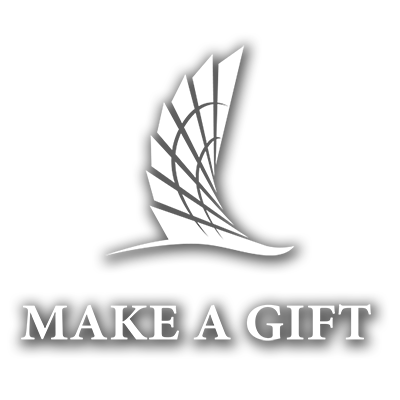 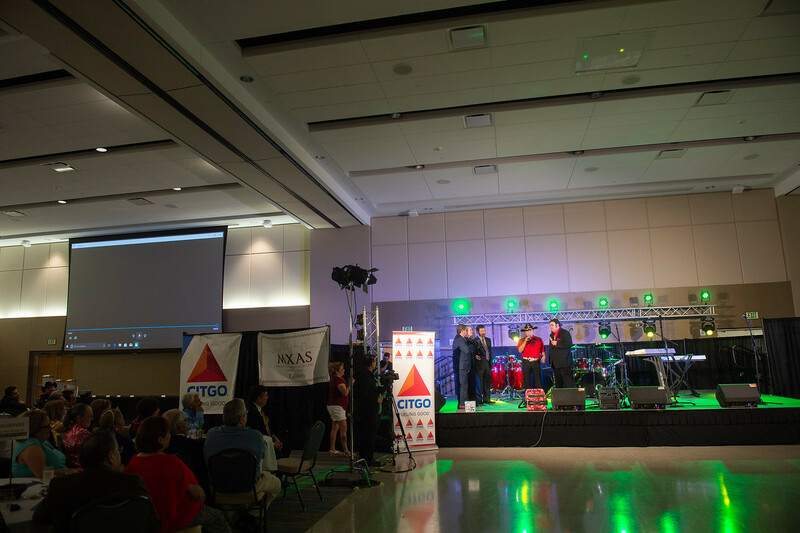 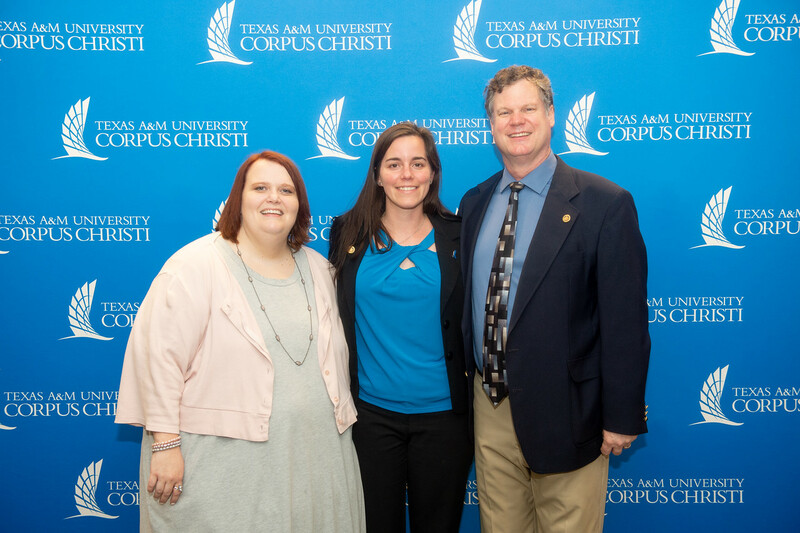 Major sponsors of the event included Texas A&M University-Corpus Christi, CITGO Refining and AEP Texas. 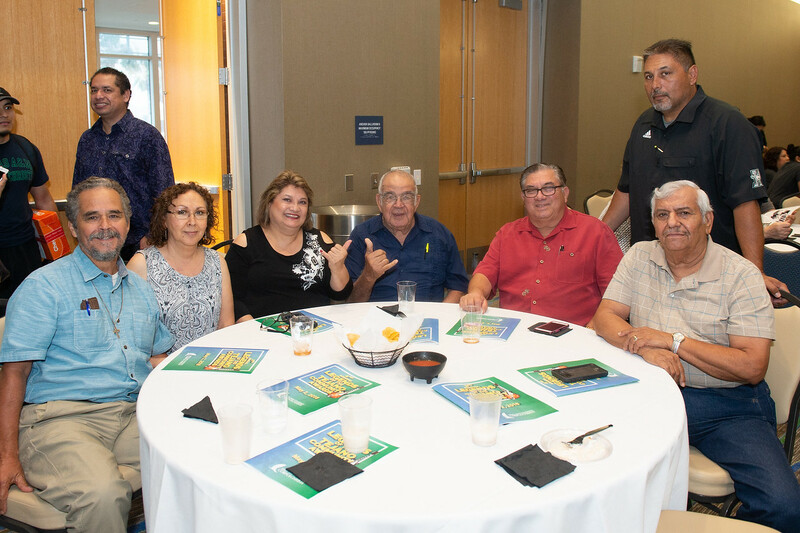 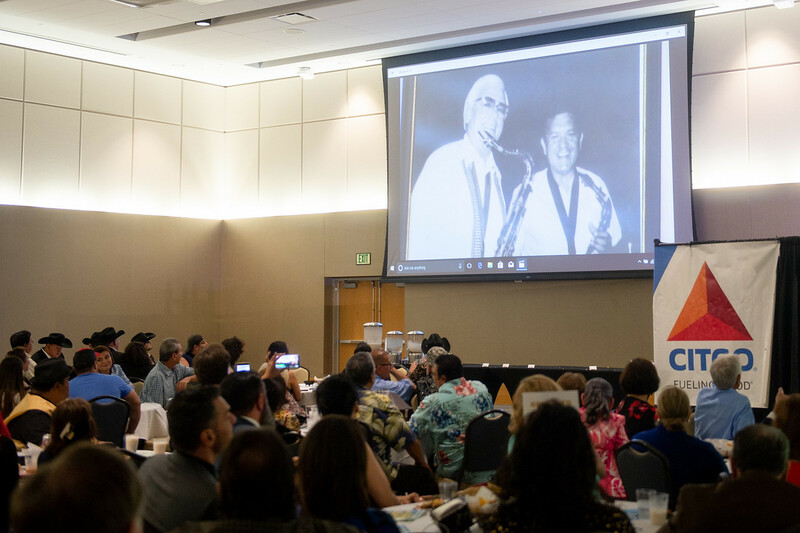 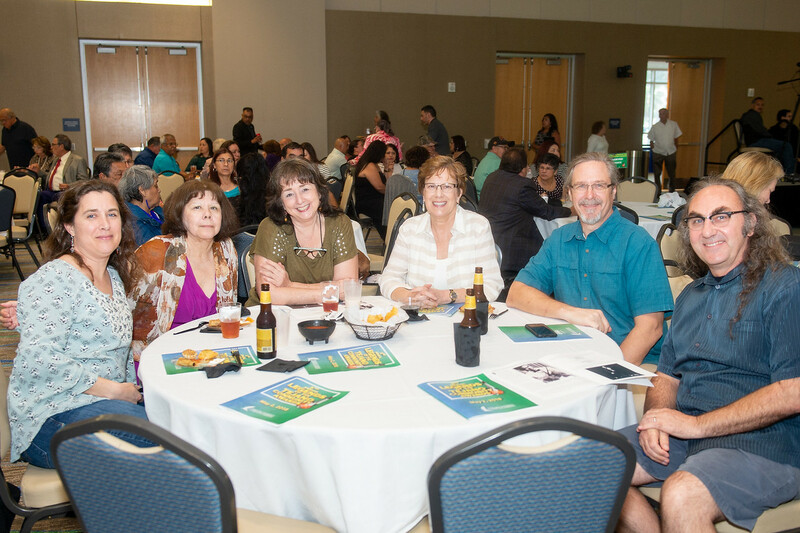 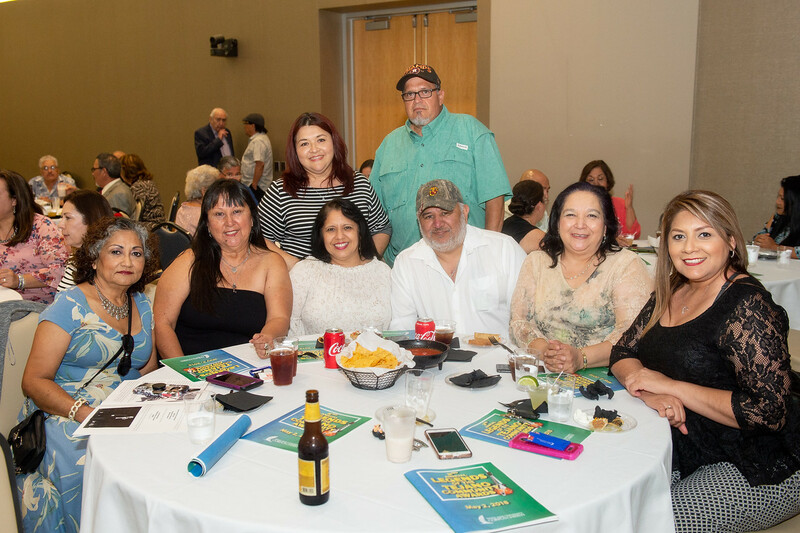 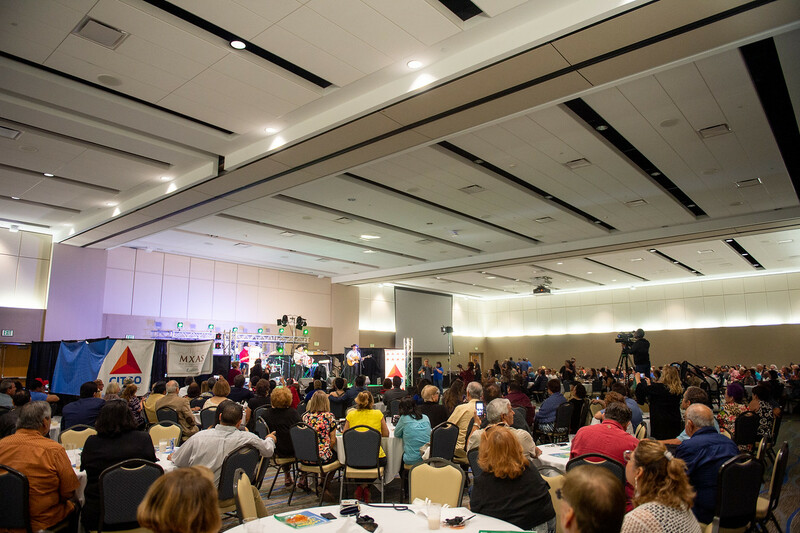 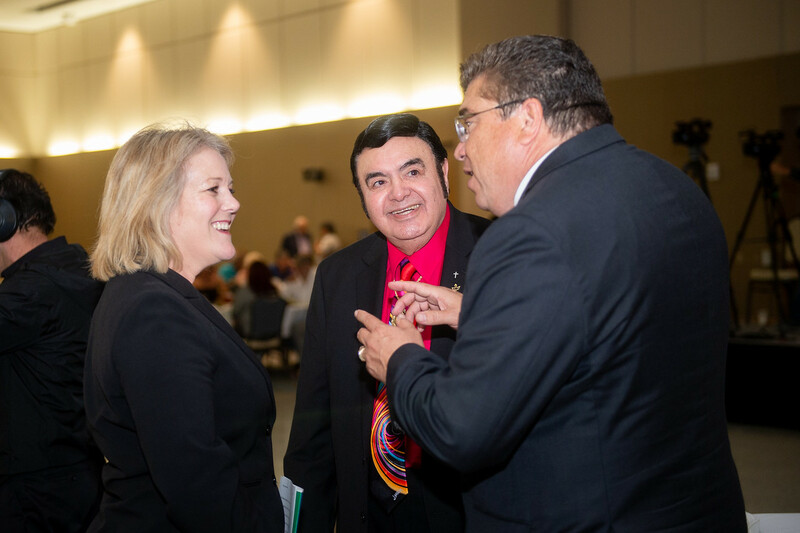 The Annual Legends of the Tejano Community Awards was created in part to extend the University’s mission of celebrating the diverse history of the Coastal Bend. 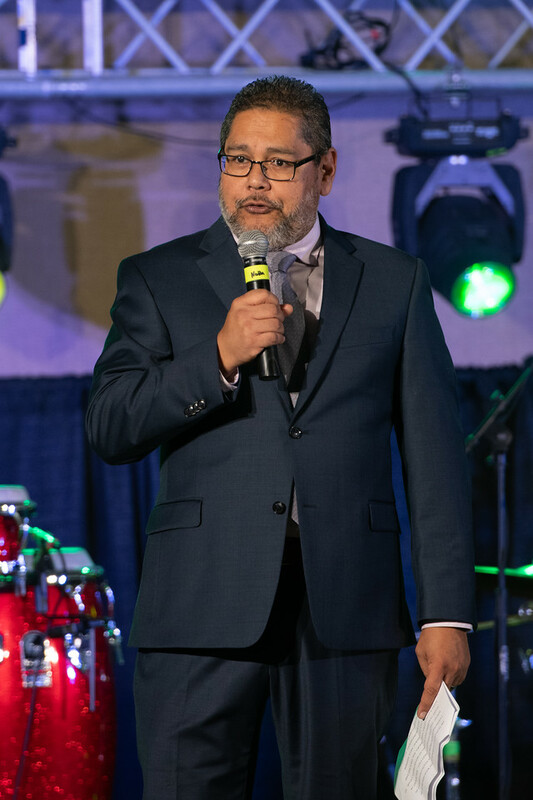 Dr. Anthony Quiroz, professor of History at Texas A&M-Corpus Christi, is the event’s lead organizer. 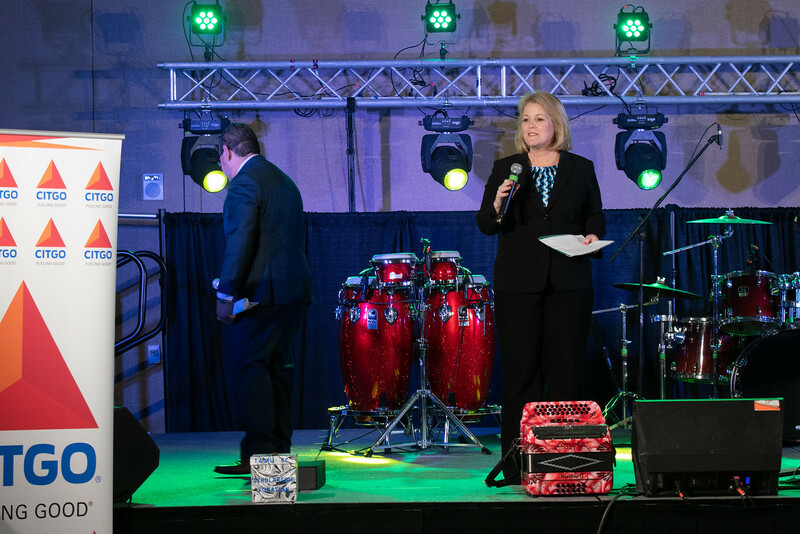 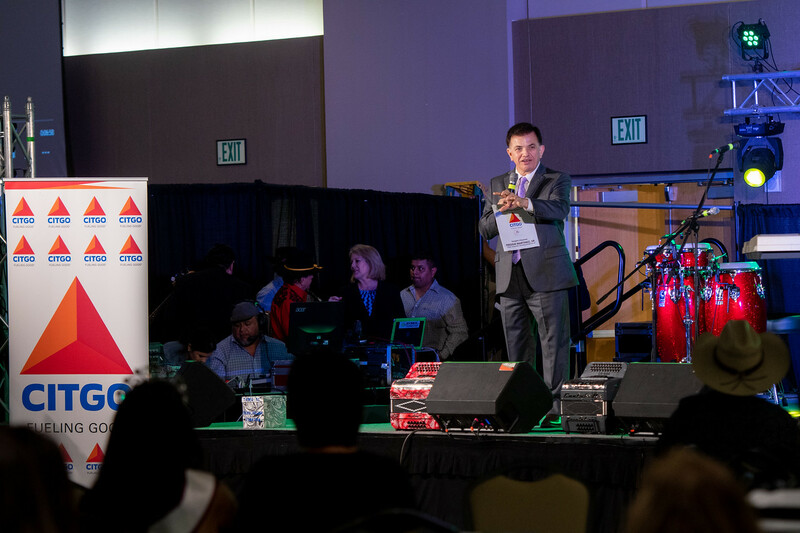 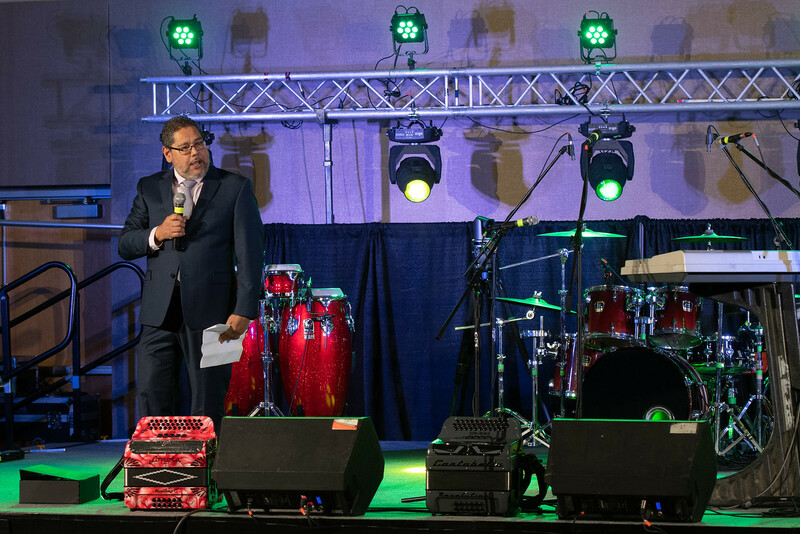 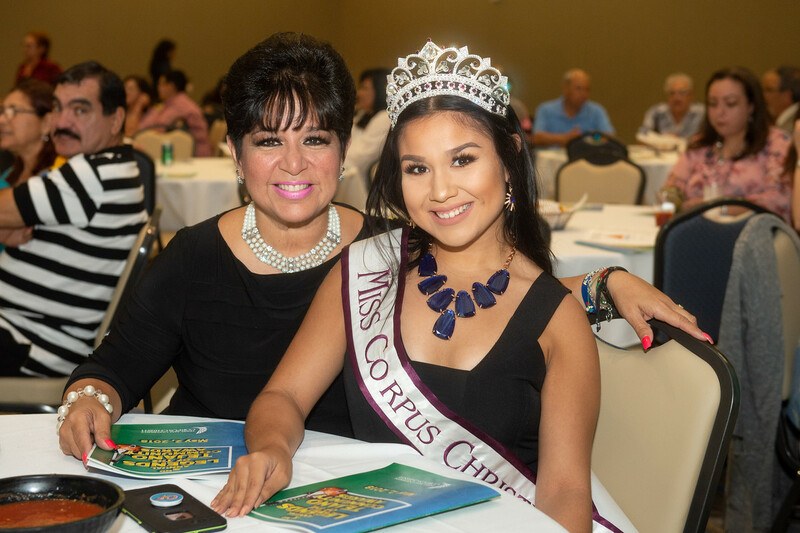 Maclovio Perez, meteorologist for KRIS 6 News, was the emcee for the event, which was held in the University Center, Anchor Ballroom. 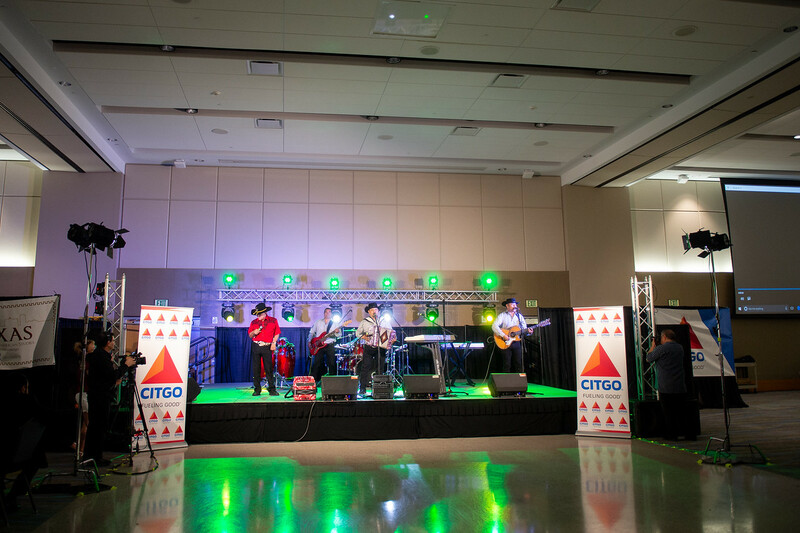 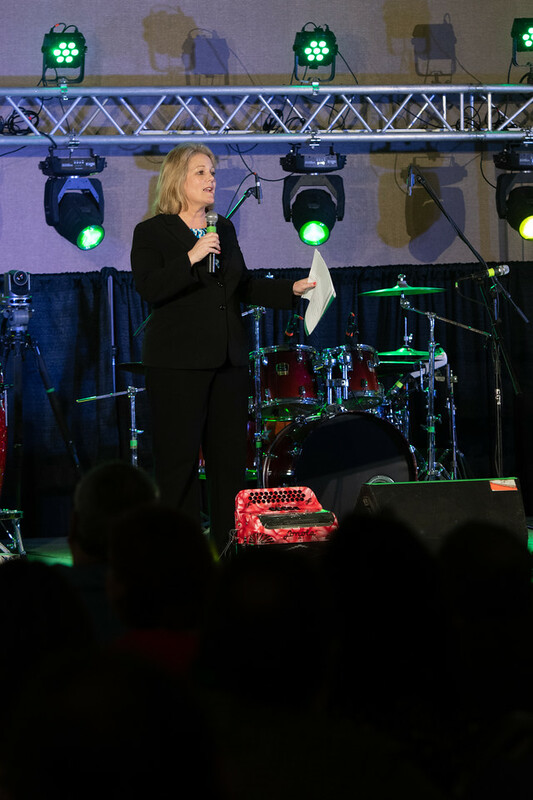 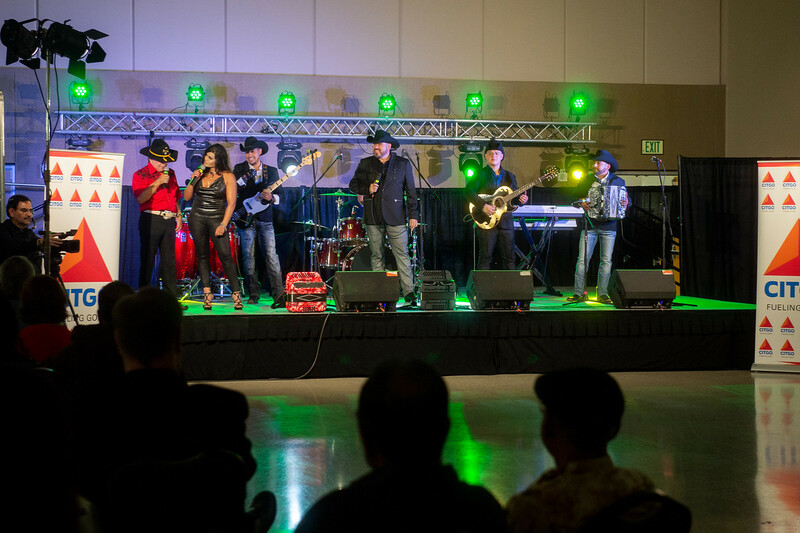 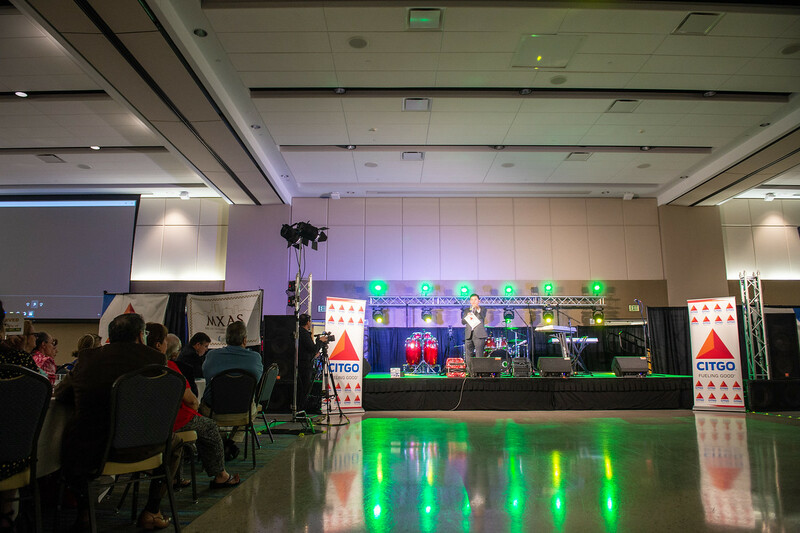 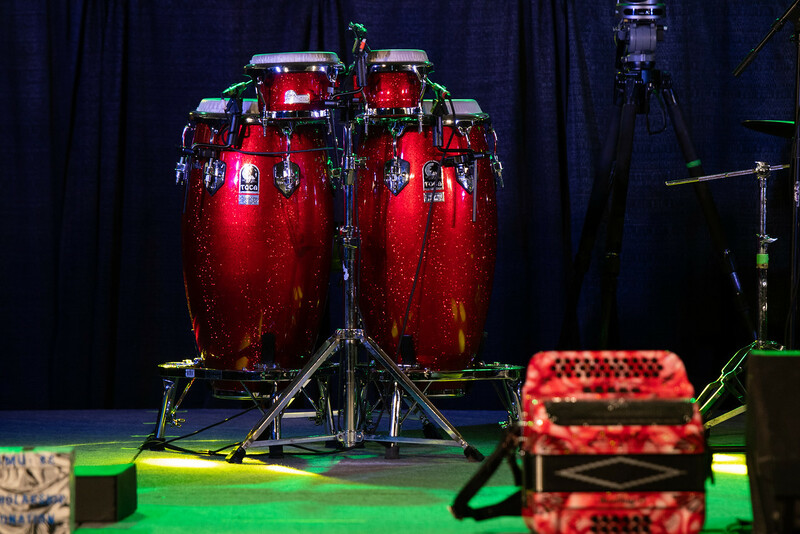 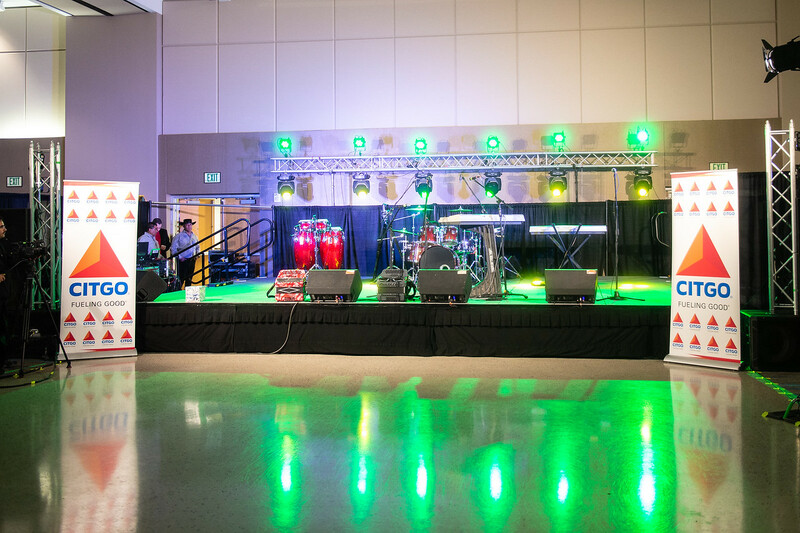 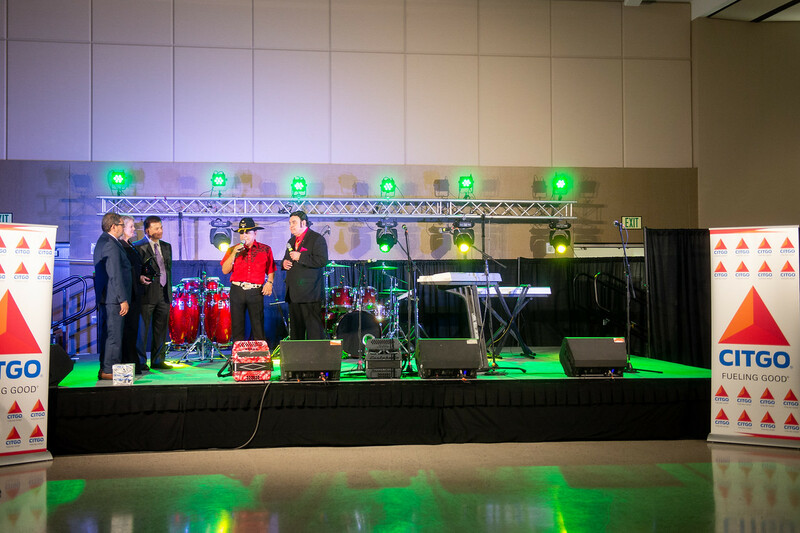 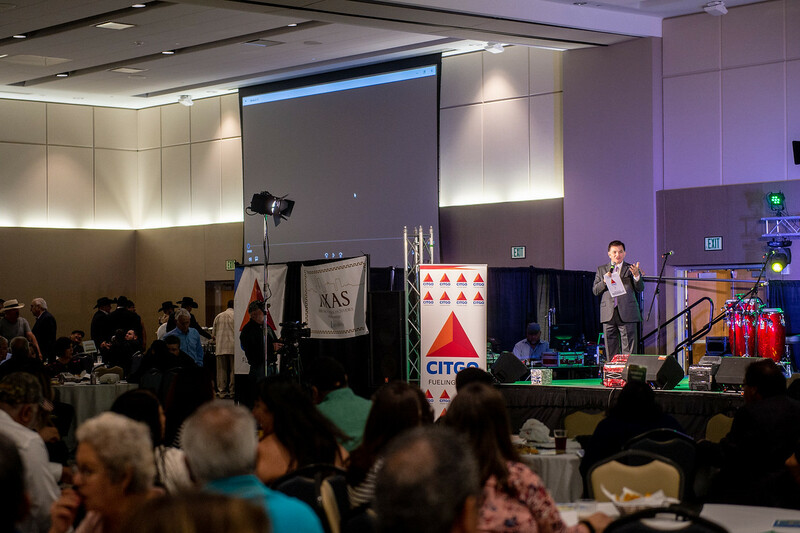 The venue, transformed into a lively dance hall with a stage and lights, was packed with people enjoying Mexican cuisine favorites such as chips and salsa, flautas, churros and horchata. 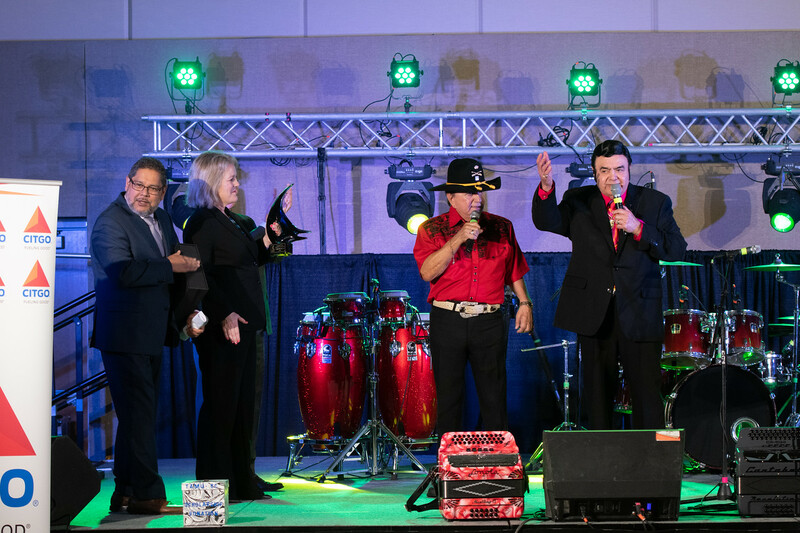 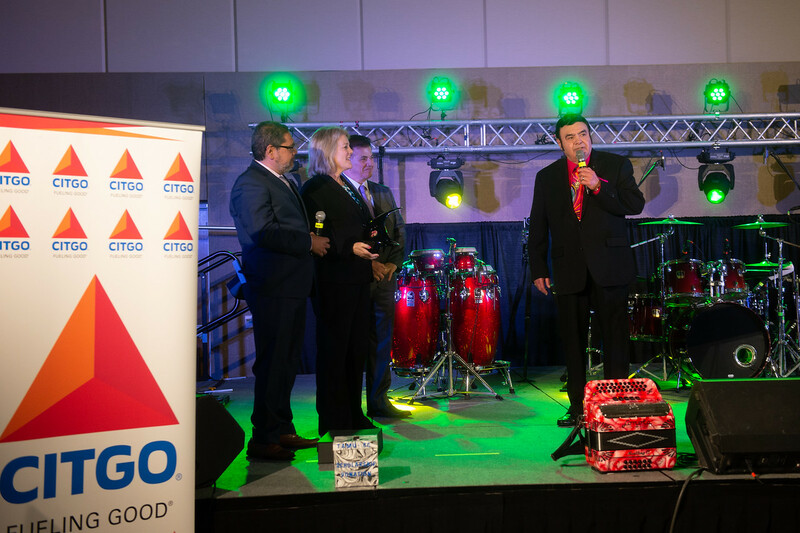 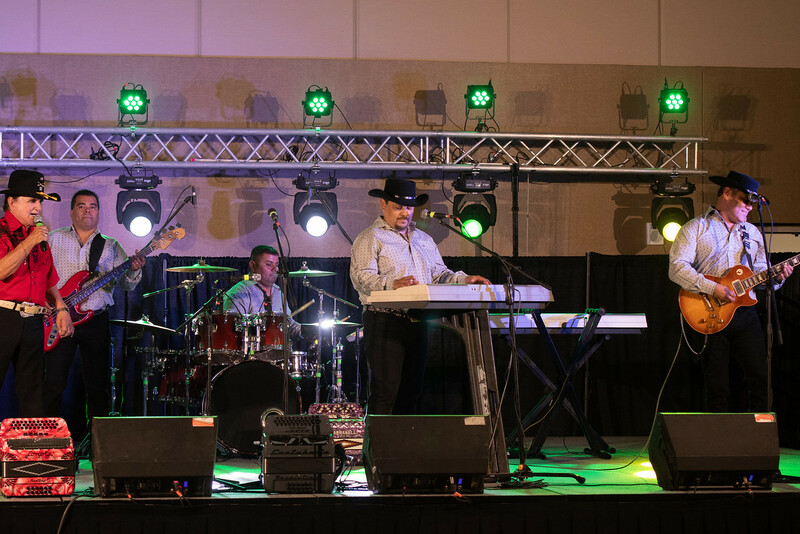 The celebration included a heartfelt awards ceremony followed by a Tejano music concert featuring Los Palominos, Elida Reyna y Avante, Solido, Lucky Joe, Carlos Guzman and others. 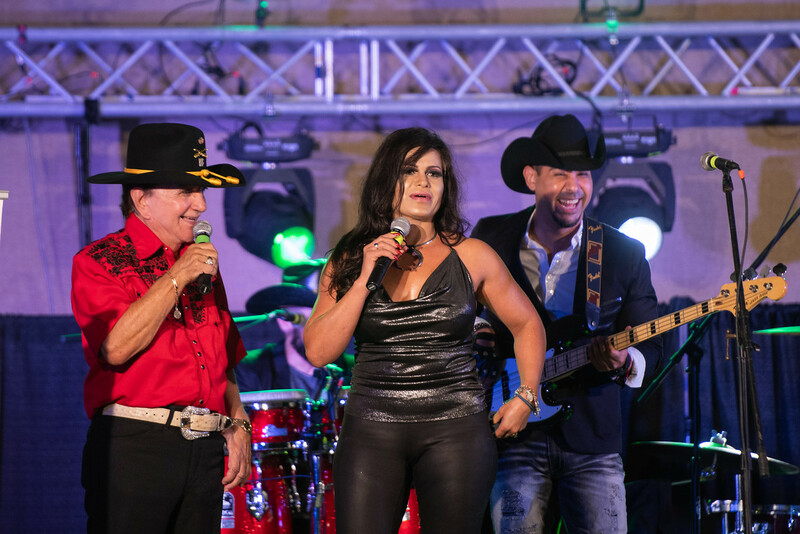 The concert was taped for subsequent airing on the Johnny Canales show. 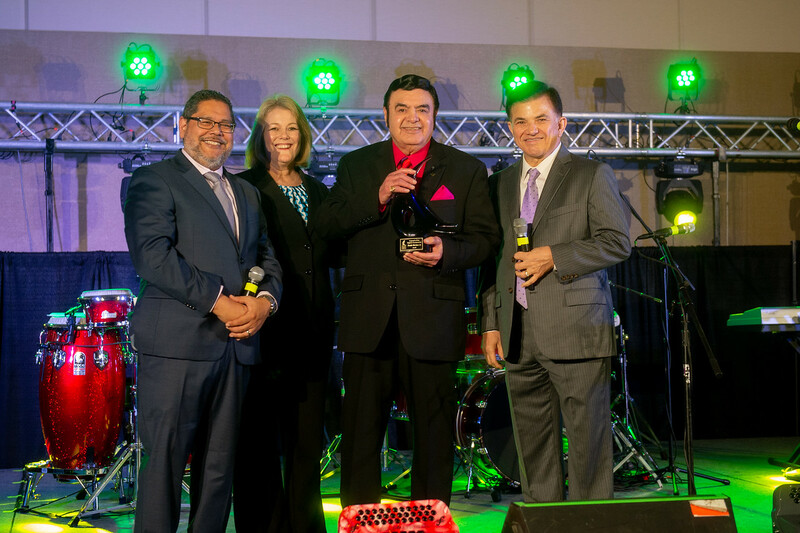 Canales was recipient of the 2017 Legends of the Tejano Community Award. 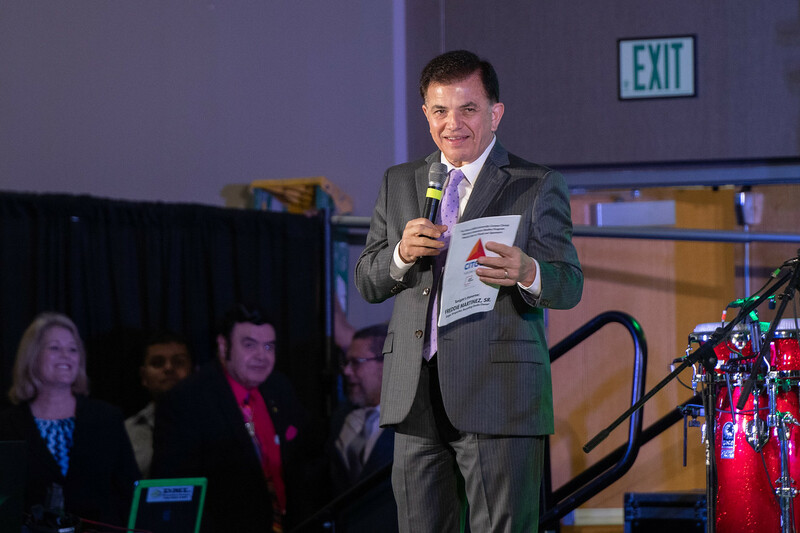 “I’m so thankful to all the people involved with this event, and my family and friends who are here with me as I received this prestigious award,” said Martinez. 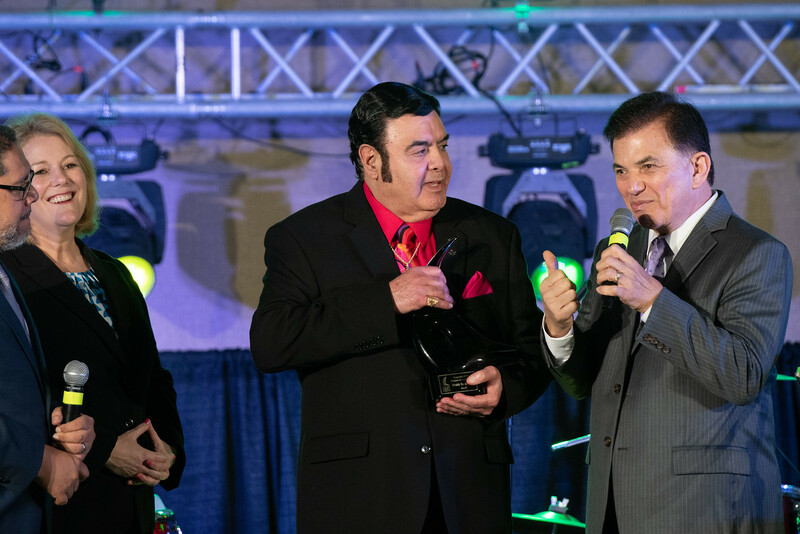 Quiroz has high hopes for the future of the Annual Legends of the Tejano Community Awards.